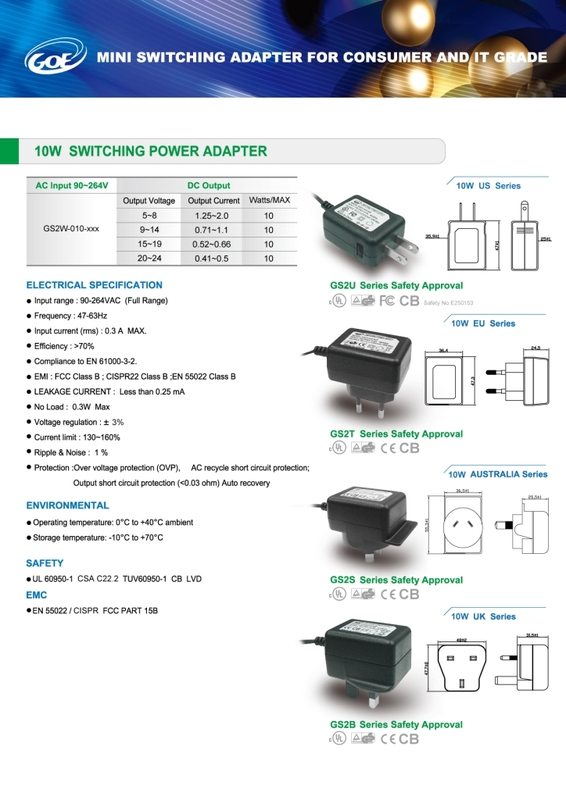 Good Opportunity Electronic Co., Ltd.
Professional in Design and Manufacturing of Switching Adapters and Power Supply. (3) Super mini size and easy portable. (4) Light & convenient plug in. 2. Application: IT device use. 1.Electrical specification: (1) Input range: 90-264VAC (full range). (2) Frequency: 47-63Hz. (3) Input current: 0.3 A Max. (4) Efficiency: ＞70%. (5) Compliance to EN 61000-3-2. (6) EMI: FCC class B; CISPR22 class B; EN 55022 class B. (7) Leakage current: less than 0.25 mA. (8) No load: 0.3W Max. (9) Voltage regulation: ±3%. (10) Current limit: 130~160%. (11)Ripple& Noise: 1%. (12)Protection: over voltage protection(OVP), AC recycle short circuit protection; output short circuit protection(<0.03ohm)auto recovery. 2. Environmental: (1) Operating temperature: 0℃ to +40℃ ambient. (2) Storage temperature: -10℃ to +70℃. 3. 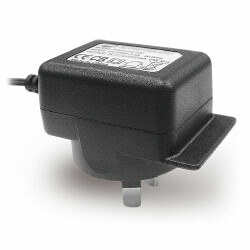 Safety: (1) UL60950-1CSA-C22.2. (2) TUV60950-1/EN60065-1 CB LVD. 4. EMI: (1) EN 55022/CISPR FCC PART15B.